The difference between consuming actual junk food and indulging in emotional junk-food is that with food, at least you usually know what you're consuming isn't really good for you. Many people think they know, or at least have an idea of, what they want in a relationship. But most people don't know what they don't want in a relationship until they've experienced it and didn't like it. I think knowing what you don't want in a partner is more important. 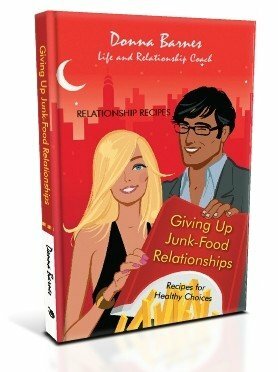 Donna Barnes, Author of Giving Up Junk-Food Relationships: Recipes for Healthy Choices shared some of her tips for a healthy relationship on the Better Show. What makes commitmentphobia so hard to recognize and even comprehend at first is that most people, both men and women, who say they’re looking for commitment or marriage are actually doing just that. Most of them want to be in a loving relationship with all of their heart, and many even want to get married and create a family. Most people don’t experience any commitment issues until something triggers them. What causes lovers to get hurt is that the better the relationship, the more anxiety a commitmentphobe feels. This is the result of their conscious desire battling with their subconscious fear. Since they consciously know they want a good relationship, they usually assume their partner is wrong for them when they find they are just not happy in the relationship. In reality, their unhappiness is brought about because their partner is such a good choice for them that it triggers their commitmentphobia. As they start to recognize a true commitment might actually come to fruition, they become increasingly anxious and they withdraw. Sometimes by just getting space and creating distance in the relationship, but many times they suddenly bail out completely. Then the abandoned partner is devastated and usually has a very difficult time letting go. Most people fear abandonment on some level, whether they recognize it or not. It comes from our childhood experiences. It develops not only as a result of obvious abandonment, such as a parent leaving or dying, but also from growing up with an emotionally withdrawn parent or a loved one who threatens to leave, lies, or does not keep promises. It is even thought to potentially develop in infancy if an infant’s needs are not met. The reason fear of abandonment is so common is that it can form in many different and subtle ways. The symptoms can range from mild to debilitating. People usually don’t experience abandonment fear until something triggers it as an adult—typically a romantic relationship. The problem with emotional anorexia, as I am calling intimacy issues, is that it can be difficult to recognize at the beginning of a relationship. 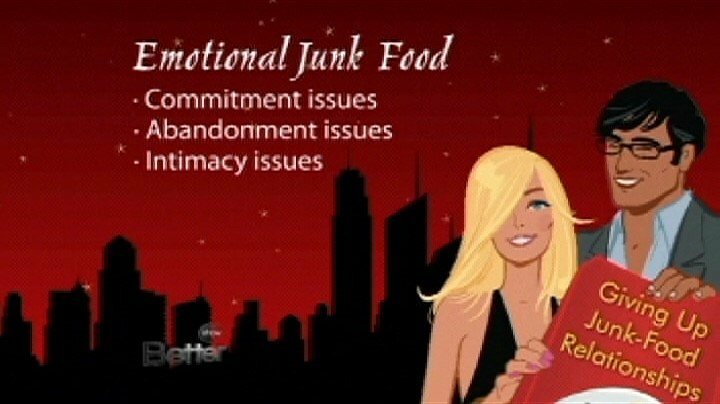 Emotional anorexics crave intimacy and loving relationships; sometimes they are even very romantic and shower you with gifts as they relentlessly pursue you. But very similar to the commitmentphobe, they fear it and are usually incapable of maintaining it.